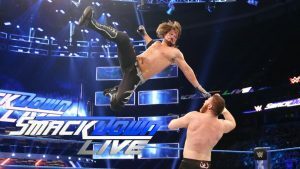 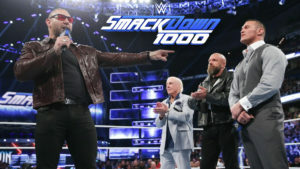 SmackDown reaches 1,000 episodes with a fun night of appearances, returns, nostalgia, and a few good matches. 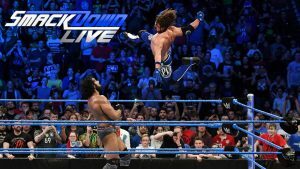 AJ Styles attempts to take the WWE Title away from Jinder Mahal and head to Survivor Series to face Brock Lesnar in a good episode of SmackDown. 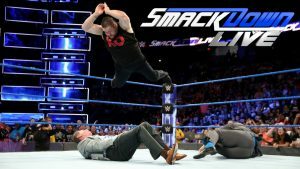 Vince McMahon confronts Kevin Owens in a good episode of SmackDown that featured three title matches. 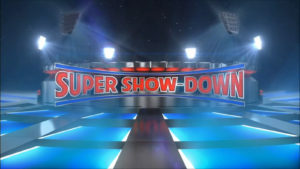 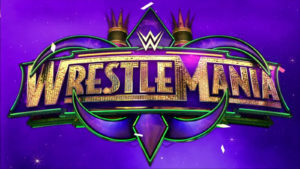 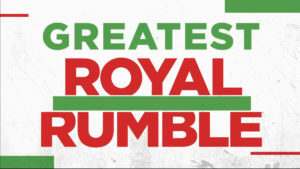 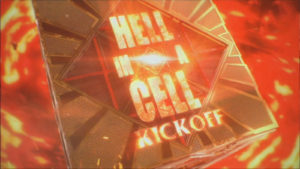 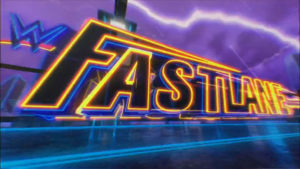 Even though half the matches on this show were nearly exactly the same, I enjoyed this show. 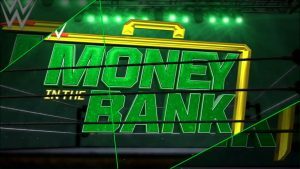 The competitors for the 2017 Money in the Bank match are named (and fight) and Breezango works their way into a tag title rematch! 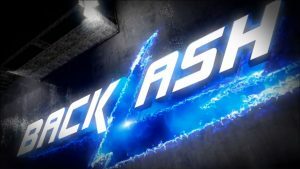 This year’s Backlash wasn’t great, but it did have some entertaining matches and a few mild surprises. 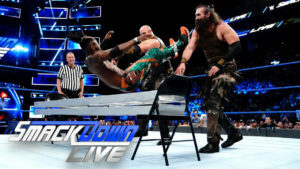 SmackDown had the same level of minimal excitement as RAW for its portion of the Superstar Shakeup, but two great matches on this episode with title implications make this a show worth watching. 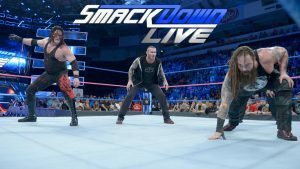 Randy Orton changes the direction of his feud with Bray Wyatt, team members are decided for Survivor Series, the tag titles are on the line, and James Ellworth attempts to help Dean Ambrose in his match with AJ Styles in a good episode of SmackDown. 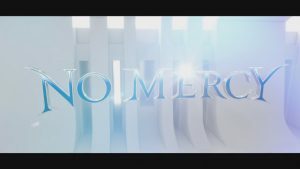 This year’s No Mercy was pretty good, with the good matches being very good. 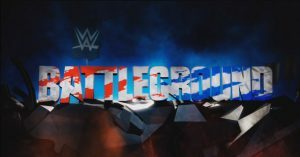 The placement of matches seemed odd, but that didn’t hurt the show too much.